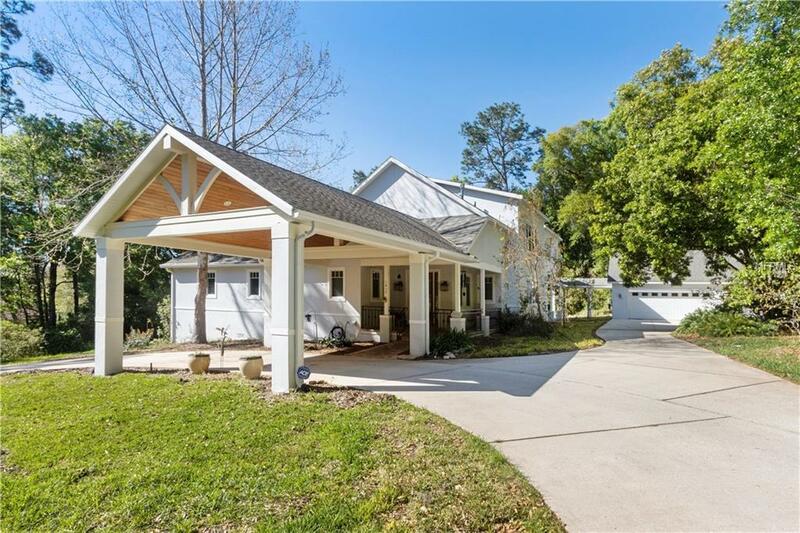 Spectacular 4 Bedroom 4 Bath plus office home in desirable Mount Dora neighborhood. This exquisite custom home was built with all the extra touches you desire. 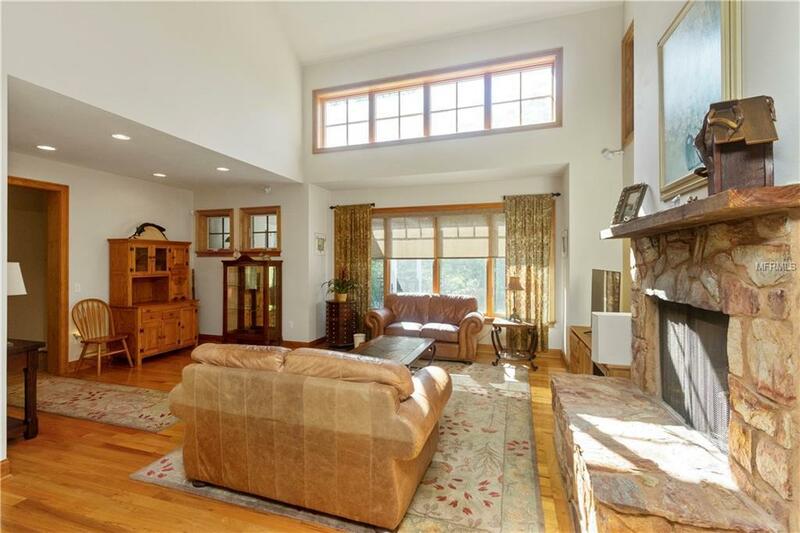 Enter this magnificent home by a covered portico shea with a beautiful oak wood ceiling. 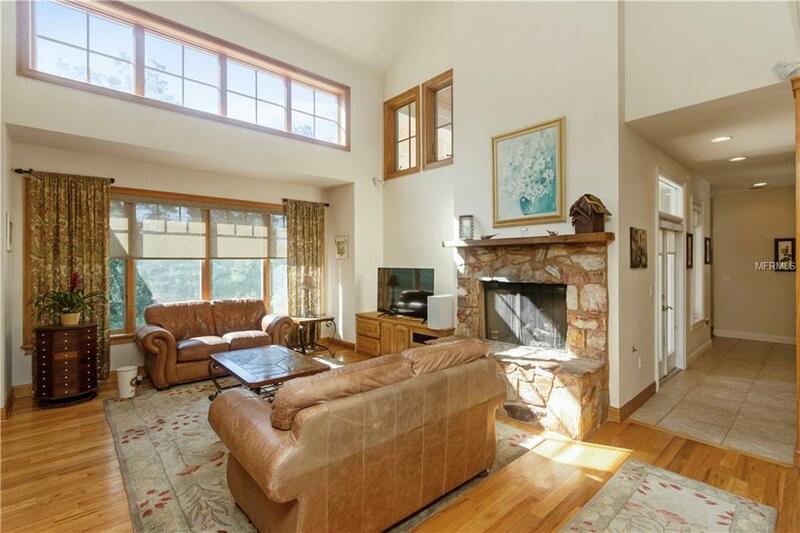 Once inside there are high ceilings with a large stone fireplace in the living room and hardwood flooring throughout. The Master Bedroom downstairs features a walk-in closet with California closets shelving, double vanity sink in the master bath, large walk-in shower, french doors out to the master covered patio. Gourmet kitchen with granite countertops and large island for entertaining, commercial gas range and high efficiency range hood, dual dishwashers, built-in KitchenAid refrigerator, wine cooler, and built-in microwaves. Enjoy the landscaping and scenery with views from every angle of this house with expansive Andersen windows. Two additional master suites upstairs with a loft in between for separate quarters. Downstairs office with windows to take in the views. 2 newer A/C units and a new disposal. Washer and dryer included in the large oversized laundry room. 3 car garage with workshop and corridor to the main house. 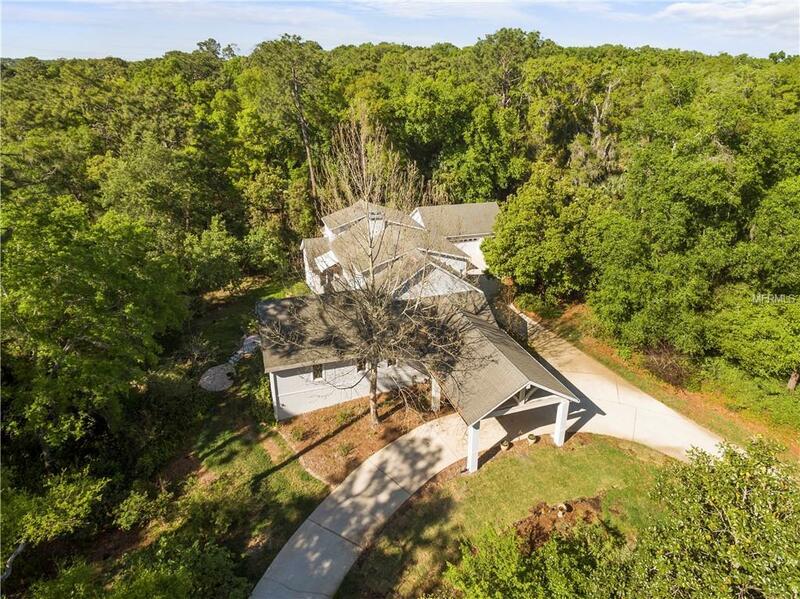 This home sits on an acre corner and has plenty of space to roam with privacy felt at each edge of the home. Brick paver patio with steps leading down to 2 waterfall ponds built to enjoy the peacefulness of nature and perfect for entertaining. A short distance from downtown Mount Dora known for its wonderful year round festivals. Pet Restrictions See Attached Hoa Documents.